To be more specific, this book was completed May 7th at 2:34 AM. And I have to say, being tired the next day was totally worth it. I was originally going to shelve this book away under "The Third Book In A Trilogy", but my reasoning for changing my mind while I was reading can be found towards the end of this post. I've been waiting for The One to be published since I stayed up until 3:30 AM reading The Elite. 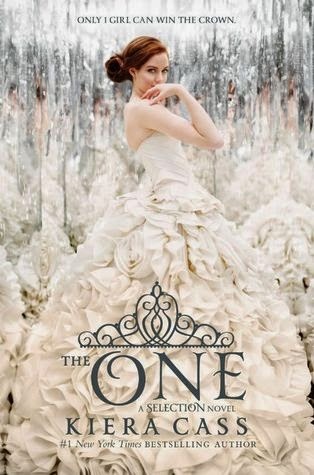 I'll admit that when it came to The Elite, the second book in Kiera Cass' trilogy, I wasn't quite as contented as I had been with the first book, which I have read 5 or 6 times in total. I'm typically not one to re-read books, but that is one of the few where I enjoy the story just as much every time I restart at the first chapter. I get the feeling that the next time I'm starving for a bold, strong-willed, fiery heroine like America Singer, I'll be picking up The One to be sucked into its vortex once again, and happy to do so. For years while I've worked at the bookstore, since I first read The Selection which I received for free as part of a promotion our head office was doing with the staff, I've been trying to perfectly describe to people just what The Selection series is like. I used to say that it's a mix between The Hunger Games and Pride and Prejudice, but after reading an article (or perhaps a review on the back of one of the books), I'd have to agree that it's a lot more like The Hunger Games mixed with The Bachelor. Although I do still believe that there's an element of P&P in there, mainly because America's mother reminds me a great deal of Mrs. Bennet in the first book. So the premise of the series, before I get back to rambling: The Selection is a process where 35 women of Illea, the dystopian land that used to be the US where the book is set, are picked "at random" in order to be escorted to the palace where they will meet the Prince of Illea. Among these 35 women, Prince Maxon will eventually choose one of them for a bride, and the two will eventually become the king and queen of Illea. This book deals with a country run amuck with problems, such as an unfair caste system which labels people by numbers 1 through 7, one's being royalty and seven's being dirt poor and potentially disabled or mentally handicapped, therefore unable to provide themselves and their families with a better livelihood. America starts off as a five in a family of artist's, but is secretly in love with a six that does menial labor and clerical work. 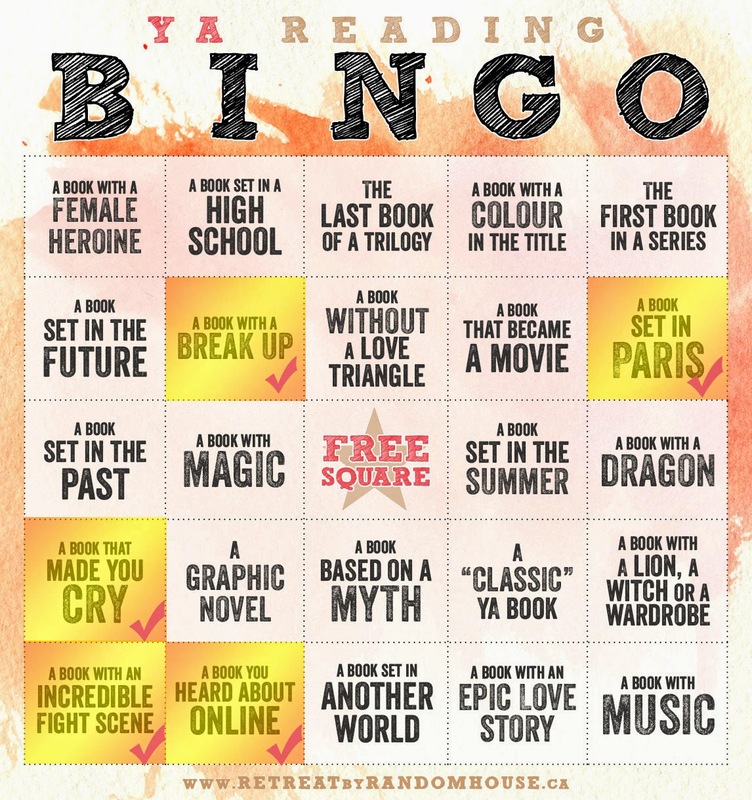 I always found the caste system in this book to be very interesting, and it sets it apart from other YA novels that I've delved into. It is difficult to express how much I love this series, and to go into detail about why I would recommend it to people without giving too much away. If I had to pick one word to describe only a few aspects of the third book, that word would be Realistic. There are a lot of obstacles and issues that all of the characters have to face and come to terms with. When the truth about certain things are at last revealed, it isn't a matter that it simply swept under the rug but is dealt with in a realistic way, and that was incredibly refreshing. The final book certainly deals with a larger amount of loss than the first or second installments touch on, but it isn't brought up in a way that is in any way jarring. I can't go into detail without spoiling key points of the book, but I will say this: it would not surprise me in the slightest if Kiera Cass was a distant relative or even just a coffee buddy of George R. R. Martin's. And that is all I have to say about that. Please, please, if you enjoy YA books, pick up The Selection as soon as you are physically able. I can't stress this enough. Truth be told, this book didn't make me shed physical tears, but that is only because I am made of stone, as my closest friends can attest to. I did come awfully close though! So for me, it counts.